enCORE 300 is Blue’s flagship condenser performance microphone, and brings Blue craftsmanship and innovation to the stage. 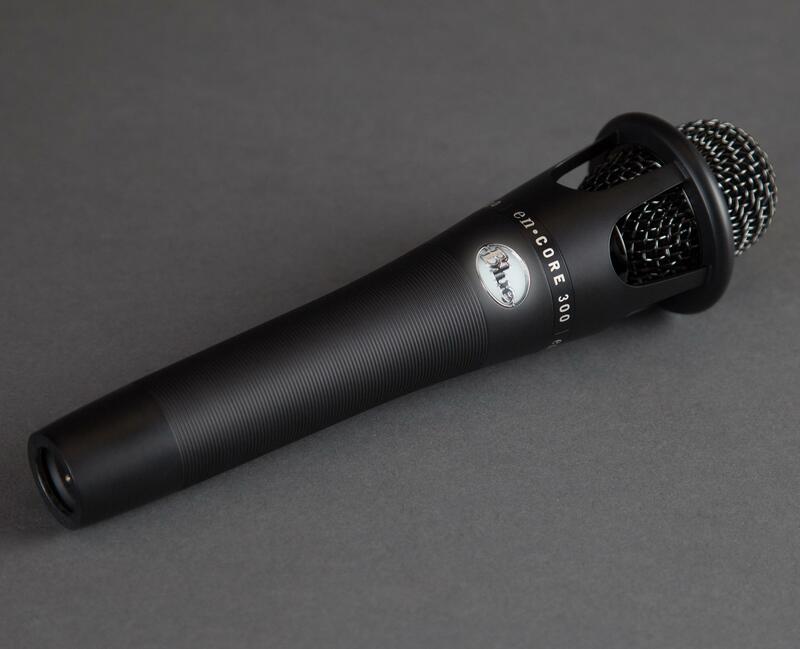 It features a proprietary, hand-tuned condenser capsule so you can achieve open, detailed sound for every performance. And with its rugged, tour-tough construction, enCORE 300 may be the only thing that survives the tour. Featuring a hand-selected and hand-tuned proprietary capsule, enCORE 300 delivers articulate, open and present sound that excels in both stage and studio applications. 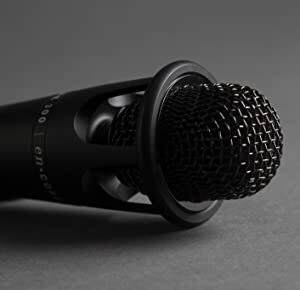 And with an innovative floating capsule design, enCORE 300 allows maximum airflow around the capsule for a more refined, open response while still providing maximum protection. It’s boutique quality, built for the battlefield of touring. Withstand the rigors of the road with enCORE 300. Built with the strictest quality standards, enCORE 300 features heavy-gauge barrel construction and durable, metal-plated finishes to ensure your mic will be left standing after ferocious live sets and brutal tour schedules. Blue is known for creating some of the world’s finest, most unique studio mics. 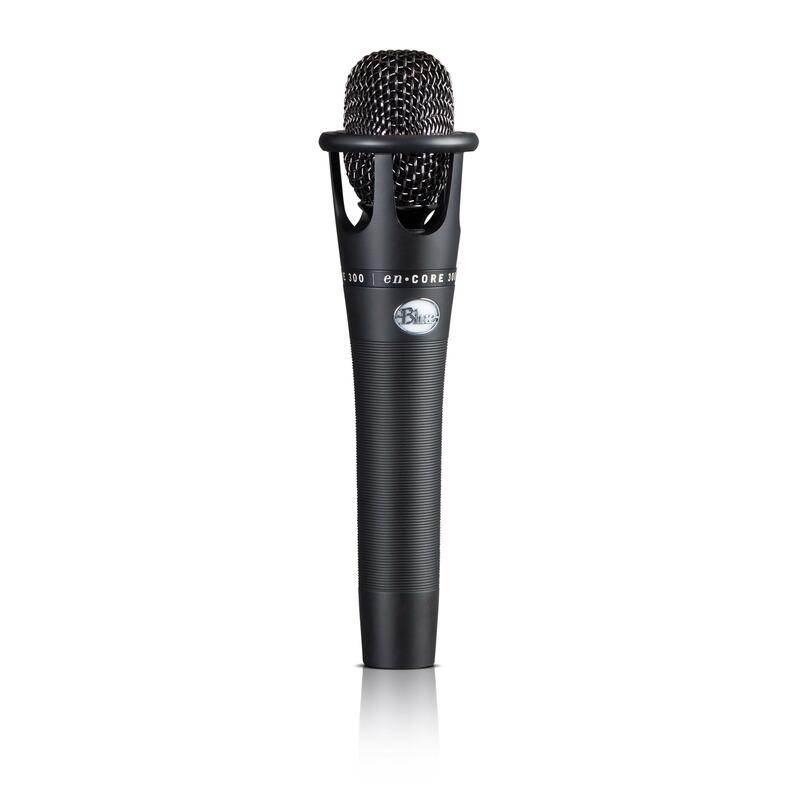 The enCORE series brings that legacy of industry-leading innovation and matchless quality to the live arena. With custom Blue components and hand-selected capsules, enCORE guarantees that your music will be heard with clarity and Blue’s legendary studio-quality sound.